Salford City 2 FC United of Manchester 1, 15/07/2017. Moor Lane, Pre Season Friendly. 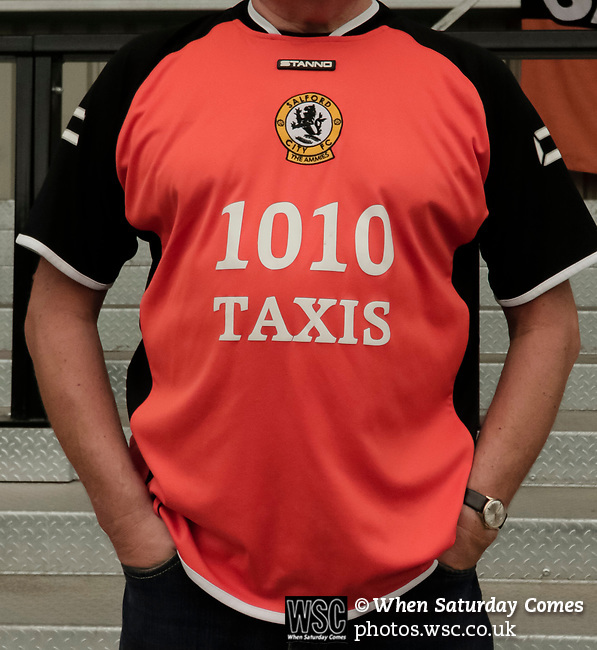 A Salford fan wearing the clubs traditional orange shirt. The 'Class of 92' consortium changed the clubs home shirt colour to red, when the took ovet the club. Salford City v FC United of Manchester in a pre season friendly at Moor Lane Salford. Photo by Paul Thompson.